STAN WARNOW, Raymond Scott’s son, was an editor and cameraman for the Academy Award®-winning concert film WOODSTOCK, and he produced, directed, and was supervising editor for the award-winning feature documentary, IN OUR HANDS. Much of his work has been with music films such as the concert feature NO NUKES, and MESSAGE TO LOVE, the story of the 1970 Isle of Wight Music Festival. He also edited the 1968 cult classic THE HONEYMOON KILLERS. Other work includes the feature film adaptation of the classic Broadway musical HAIR, editing work for SATURDAY NIGHT LIVE, the television series THE WONDER YEARS, and THE EQUALIZER. He was also editor on the Emmy®-nominated PBS documentary THE TRIAL OF ADOLF EICHMANN, produced by Great Projects. Recent work has been as editor on the documentary features RITTENHOUSE SQUARE, directed by Robert Downey Sr.; MUSIC FROM THE INSIDE OUT, produced and directed by Danny Anker; and LA MAESTRA IN THE HOUSE, produced and directed by Julia D’Amico. 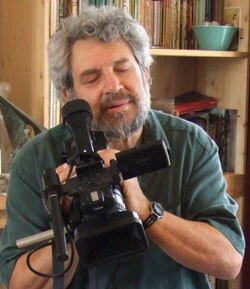 JEFF E. WINNER is a music and film producer, historian, and researcher. Winner has written for the Oxford University Press GROVE DICTIONARY OF AMERICAN MUSIC, the MIT Press anthology SOUND UNBOUND (with Chuck D of Public Enemy, Moby, Scanner, and Steve Reich), features in ELECTRONIC MUSICIAN magazine, and liner notes for the DVD/CD series OHM: THE EARLY GURUS OF ELECTRONIC MUSIC (with Sonic Youth, Bob Moog, John Cage, and Brian Eno). 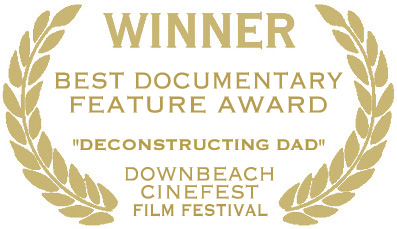 Winner was also editor/interviewer for WE ARE DEVO, the band’s only biographical book (Firefly Press), and is the Consulting Producer of the forthcoming official Devo documentary film.